Meaning of Works Contract in TN VAT: Sec 2(43) defines as “Works Contract” includes any agreement for carrying out for cash, deferred payment or other valuable consideration, building construction, manufacture, processing, fabrication, erection, installation, fitting out, improvement, modification, repair or commissioning of any movable or immovable property. It need to be very careful while reading these lines that the act has not given the exact and exclusive definition but the definition specifically includes the activities/ nature of transactions covered under the Works Contract. In the absence of the exclusive definition for the words/ phrase “Works Contract” one need to refer the definition of works contract under the General Clauses Act and relevant judicial pronouncements from time to time. Taxation under TNVAT! The works contract is been governed by two different methods and the option is left to the choice of the dealer. First Method: This method is also known as Method of Composition or Composite method of tax payment. In this case the dealer is liable to pay tax on the total value of the works contract at the applicable rates. The applicable rates are 2% for civil works and civil maintenance works & 5% (4% till the amendment on 13/2/2012) for all other works. And the highlighting points under this method are (a). The dealer has to present his option of payment of tax under this method with the assessing authority before 20th of May of the financial year or along with the first month return after commencement of the works contract execution, as the case may be, (b) The dealer is not required to maintain books of accounts under this act., and it does not mean that he/ she need not maintain books of accounts under the other law(s) in the land, and (c) The dealer cannot take Input Tax Credit on the purchases or on the inputs, and more importantly (d) the tax has to be paid out of his margin earned or to be precise he has no rights to collect the tax portion from his customer(s). The reader may mark these facts/ points are covered under sec. 6 of the TNVAT Act. (a) the dealer is not liable to pay tax on the total value of the works contract/ total turnover at the applicable rates but on the taxable turnover only and again the percentage of tax payable on the said turnover is based on the form of the property and its applicable rate as listed in the different parts of the First Schedule of the Act. (b) Unlike the other method the dealer need not place his/her option of payment of tax liability under Non-composition. Once the dealer fails to present the option, it is automatic that he is liable to pay tax under Non-composition method. (c) The dealer is required to maintain books of accounts under this act and to produce the evidence(s) with the appropriative authorities, as and when required by them. (d) The dealer is entitled for Input Tax Credit on the purchases or on the inputs, subject to certain restrictions, as prevalent from time to time. (e) The dealer cannot take Input tax credit on the purchases under CST act. The reader may mark these facts/ points are covered under sec. 5 of the TNVAT Act. Common for both the cases/ Methods: The option opted as above is final and binding and the dealer has no option to switch over to other method with in the financial year. However switching from one method to another is possible from the next financial year, even if the project is continued to be in execution and this switch over is subject to the fact that the dealer may have to forgo if the dealer who want to switch over from Non-composite method to Composite method and not vise versa. The total consideration received or receivable in future in respect of the works contract agreement, accounted under the regular accounting practice of the dealer whether on Mercantile or an accrual basis. To say the value received plus receivable plus escalation if any due in future is called Value of Works Contract. The Taxable Turnover means, the value of the works contract adjusted by the component of exempted goods and services included or inbuilt in execution of the works contract. To cover an example(s) is/are: labour charges paid on execution of the civil works, equipments or apparatus covered under Part-B of Fourth Schedule (Sec. 15). It is to be noted that the value of VAT charged in the Invoice is not part of the value of the works contract, for the purpose of taxable turnover. Assessment of Tax Liability on Taxable Turnover: The dealer is liable to pay tax at the rates specified in the First Schedule on the taxable turnover. If the inputs/ purchases for execution of the projects are covered by more than one tariff category/ group of goods and services fall under more than one rate of tax, then the taxable turnover is divided in to more than one group in the same ratio of the inputs category/ group. Now the splited taxable turnover be charges on the respective tax rates as per the first schedule to arrive the tax payable. Illustration: Dealer Company ‘A’ has accepted an assignment of Design, Development, Commissioning of sewerage water treatment plant from Govt. department ‘B’ for a consideration of Rs.100 lakhs plus applicable VAT. In this case the contractor company ‘A’ has spent labour expenses in construction a sum of Rs.32.00 lakhs, Design charges a sum of Rs.1.50 lakhs, Purchase of Pumps from the dealer situated in other state a sum of Rs.10.00 lakhs, Purchase of Pumps & motors from the dealer situated within the state a sum of Rs8.50 lakhs, Purchase of cements from the dealer situated within the state a sum of Rs.8.50 lakhs, Purchase of bricks, blue metals etc from the dealer situated within the state a sum of Rs.8.50 lakhs and Purchase of Electrical goods from a dealer situated outside the state a sum of Rs.7.00 lakhs and dealer situated with in the state a sum of Rs.15.00 lakhs. Based on this stimulated data’s lets assess the tax liability of the dealer to the VAT authorities. (1)If the dealer wishes to pay tax on composition/ first method, the tax payable is 5% on the total contract value of Rs.100.00 lakhs. 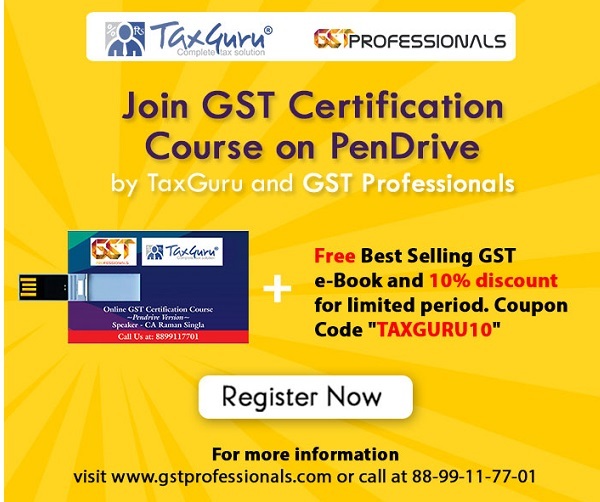 (ie 5 .00 lakhs) PLUS applicable purchase tax on all the interstate purchases, to the extent of the opportunity revenue loss to the state government, since the dealers are not permitted to buy the goods from a dealer who located outside the state of Tamil Nadu, as he/she has opted composite method. (i) being the nature of works falls under electro mechanical works, the dealer will get the deduction under rule 8(5)(d) is 30% (ii) TDS under VAT act a sum of Rs.5.00 lakhs to be made by the customer to be adjusted against the dues to the dept, has not been considered in the illustration exhibited above, as the issue been dealt in a separate article as “TDS under TN VAT Rules ( revised)” (iii) if the agreement/ works order specifically says that the rates quoted is inclusive of VAT, then the entire workings need to be done separately and the author may be reached for professional supports in this regard. If the dealers opt to pay tax on the first method/ composition method of tax liability, he can not apply for Form S with the authorities, the tax liability and the VAT TDS are one and the same. In the absence of Form S, the employer contractor (customer) is bound to deduct 5% on the works contract value. In case if the dealer wishes to avoid this, he has the option to pay the VAT taxes billed in the invoice in advance to the assessing authorities and obtain the Form S and avoid the TDS process. The VAT Rules provides the fact that if the sub-contractor is registered dealer filing the returns under VAT Act., the main contractor turnover to the extent of the payment made to the subcontractor is exempted from works contract value/ taxable turnover. The VAT Act or Rules has not given effect of exemption in the hands of sub-contractor, even if the main contractor has opted to pay tax under non- composition method (under sec 5 of the act. ), and in addition to this the Rule 8(5)(d) provides to assess the exemption from the taxable turnover in the absence of data’s in the books of accounts, but the rule has failed to restrict the allowance subject to the maximum amount as calculated under this rule or actual amount spent, whichever is lower, so as to tax the profit element behind the project. Disclaimer- The readers are informed to note that the facts and information’s stated in this article is only the opinion of the author and assesses can use the concepts and logical used in this article in support of their cases. We have detected 2% WCT from contractors amount, now how we have to pay it for tamilnadu government. WHAT ARE THE RETURNS TO BE FILED BY A SUB CONTRACTOR OF WORKS CONTRACT UNDER TN VAT ACT. TNVAT REGISTRATION DURING OCTOBER 2015. THE CONTRACTOR DEDUCT 5% TAX FROM THE BILL AND PAY DIRECTLY TO THE GOVERNMENT. HE PURCHASES GOODS BOTH FROM TN AND OTHER STATES. ( ANHRA ).